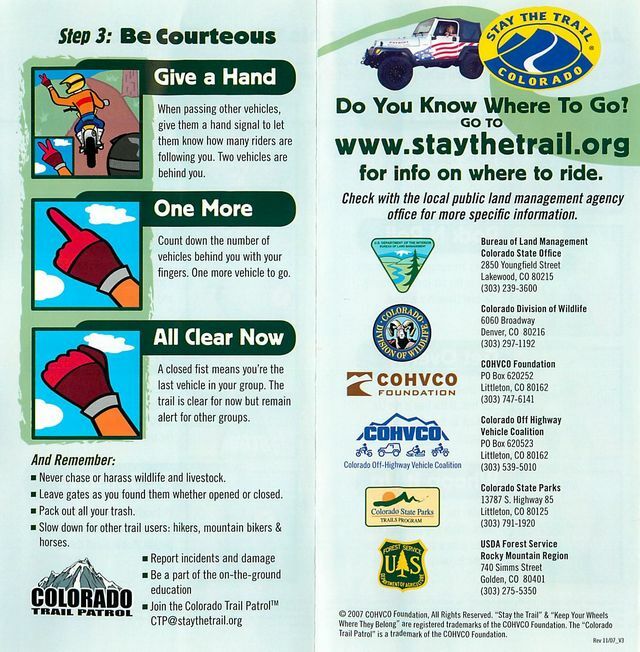 The COHVCO Foundation publishes this handy and succinct guide to trail etiquette in Colorado. Click on the image to be taken to their web site. 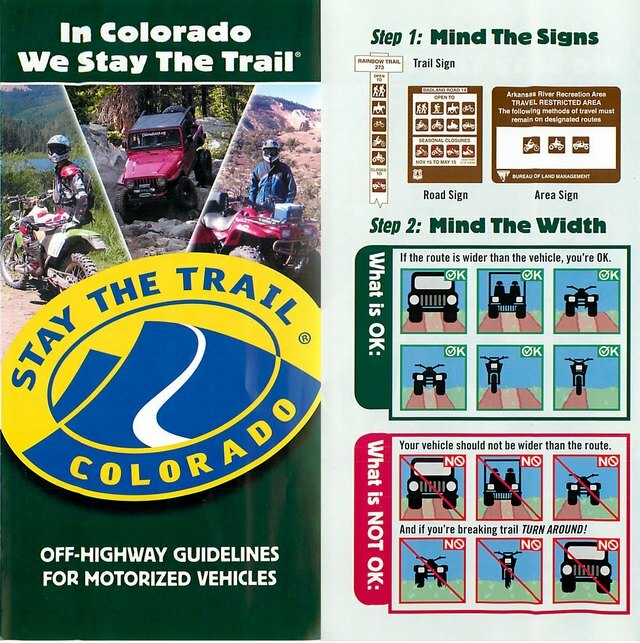 The Colorado Off Highway Vehicle Coalition (COHVCO) publishes this handy flyer providing great info on off-highway trail etiquette. I’m putting this here as a way of disseminating it further. These flyers are available in many places in Colorado, including on various bulletin boards up in the high country. You can click on the photo to go to their website. Follow the “continue reading” link to see the entire pamphlet. I would make one last note: they mean it! Do it the way they say to do and everyone stays happy! 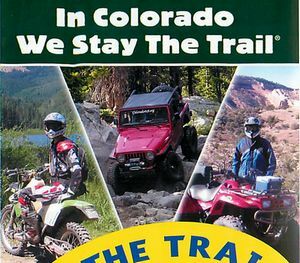 This entry was posted in Motorcycling and tagged backcountry riding, Colorado, dirt bikes, motorcycling, stay the trail, trail etiquette. Bookmark the permalink.